advice on accommodations, tours, etc. In talking to a friend about my love of Italy, she admitted that although she’d been there, she didn’t understand why I – and so many others – were such fans of this country? Actually, it wasn’t love at first sight for me either. I had been to Italy twice before – visiting the usual spots: Rome, Venice, Pisa, Florence, Naples and Sorrento, travelling by train. While I had enjoyed these cities immensely, I hadn’t fallen in love. 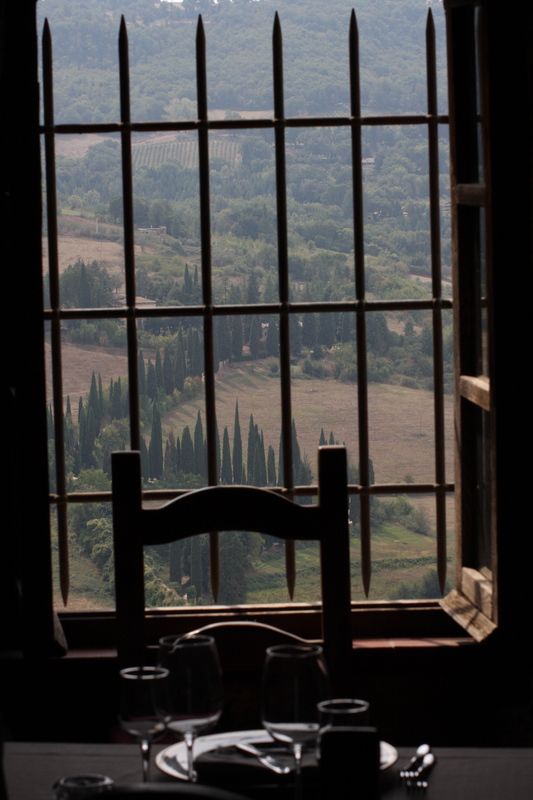 Not until I ventured away from the cities and into the Tuscan and Umbrian countryside! That’s when I got hooked on the lifestyle as well as the amazing surroundings. On my most recent trip (last September)we stayed at a villa and made that our base camp, travelling by car each day to one or a number of towns within reach. Instead of trying to see every famous piece of art or “ABC” (another bl---y cathedral) in our path, we simply enjoyed ambling around towns and villages like Cortona, Citerna, Sansepolcro, Castiglione del Lago, Radda and Panzano in Chianti. During our second week, we travelled to a different location each day and discovered little gems like Pitigliano and Sorano. We found that we could wander around, have a long, leisurely lunch and easily gain a sense of what life was all about in these towns or small cities. Each offered up a treasure trove of local food, wine, and welcoming hospitality. Of course, we also visited a number of larger centres, such as Orvietto, Montipulciano, Perugia and Assissi as well. And while we probably could have spent days seeing all of the well-known art and historic sites, again, we mainly took walking tours around the historic centre of the town and simply soaked up the ambience rather than dashing around, guidebook in hand. Each hill town in Tuscany, Umbria and the Marema that we visited offered its own unique architecture and regional culture. But all of the towns and villages shared in a similar lifestyle – one that valued and embraced good, fresh food enjoyed slowly but with great gusto and with treasured friends and family. That is why Italy is now one of my favourite destinations.